A firefighter trainer from London Fire Brigade is heading off on an Alaskan adventure to mark the diamond jubilee of the British Sub-Aqua Club (BSAC). But despite having dived at some of the world’s top tropical dive sites Steve Gellard has chosen the icy waters of Alaska, where he might bump into a hungry killer whale, for his latest diving expedition in aid of Help For Heroes and The Marine Conservation Society. 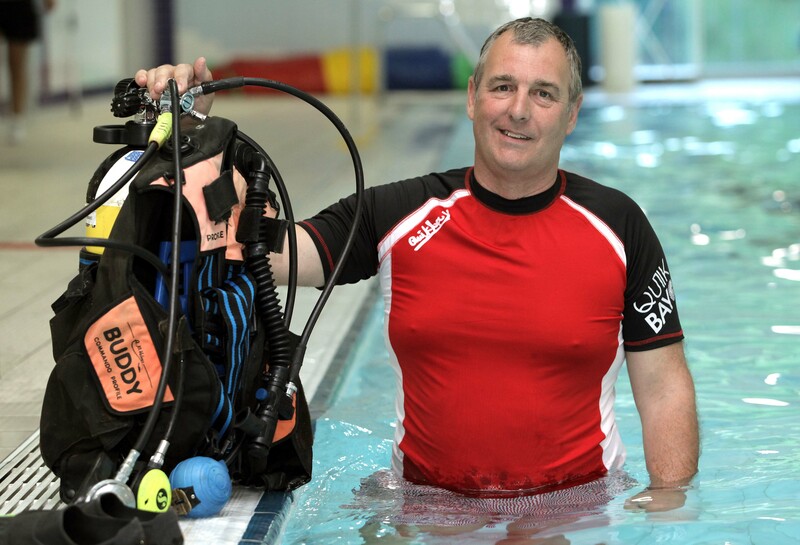 Gellar, the training officer of Loughton 365 Sub Aqua Club, , is taking part in Dive N60°, an ambitious programme of dives along the planet’s northern 60th parallel on the summer solstice, which takes place today [21 June]. The global project, which aims to run over a number of years, will not only raise money for charity but also aims to gather data via scientific experiments which can be fed back to schoolchildren in the UK, creating a lasting teaching legacy. Gellard said: “When I saw plans for the Alaska trip I just knew it was for me. And I’m heading out a little bit early to do some walking. "Some dive sites, like The Red Sea for example, you’re literally fighting for space there are so many scuba divers. That certainly won’t be the case in Alaska. What a brilliant feeling diving somewhere that perhaps no one has ever seen before. I love all sides of scuba diving, marine life and the history that comes with wreck dives." Gellard now works as a training officer for London Fire Brigade having retired as a firefighter after 30 years of service. Mary Tetley, BSAC Chief Executive added: “This wonderful project thought up by BSAC’s first every branch club is an amazing celebration of our diamond jubilee and divers like Steve are going to have experiences which I am sure they will never forget."